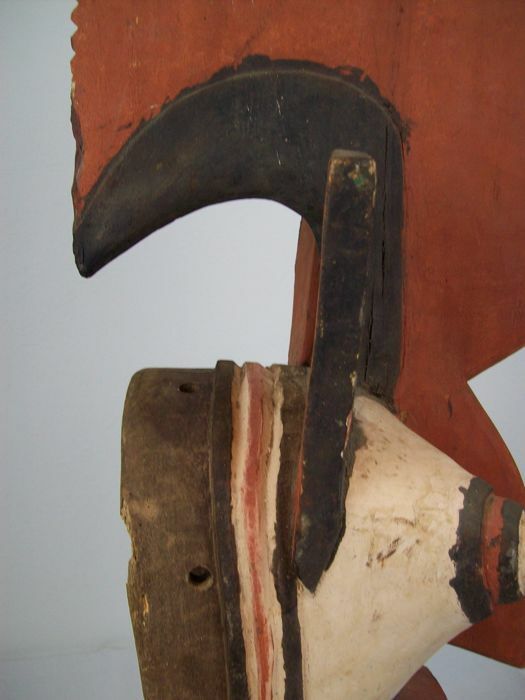 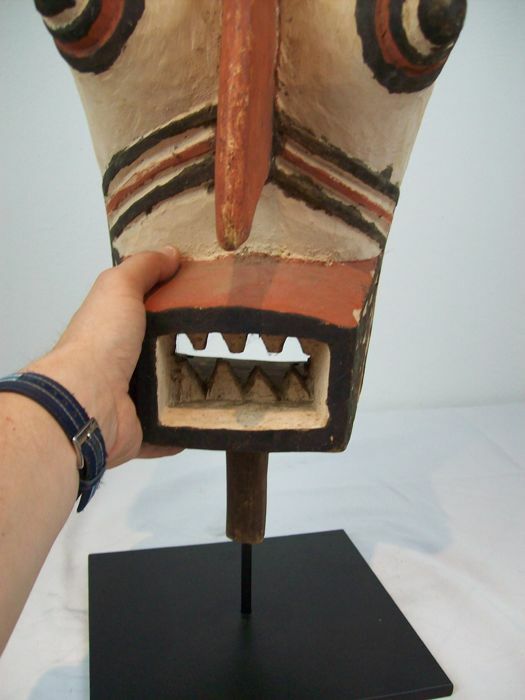 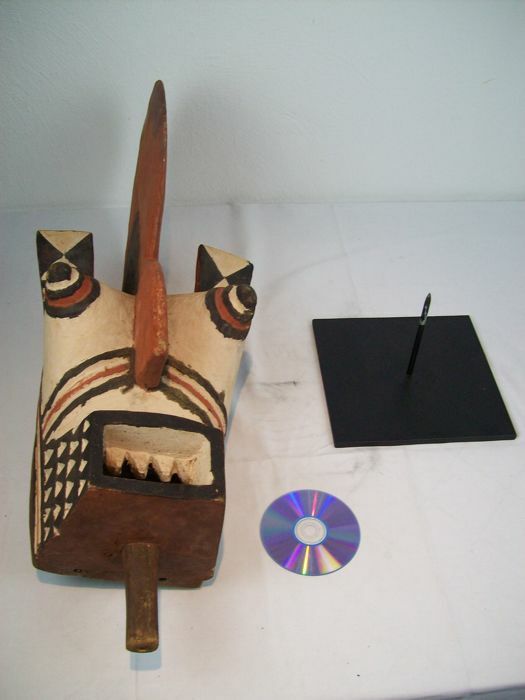 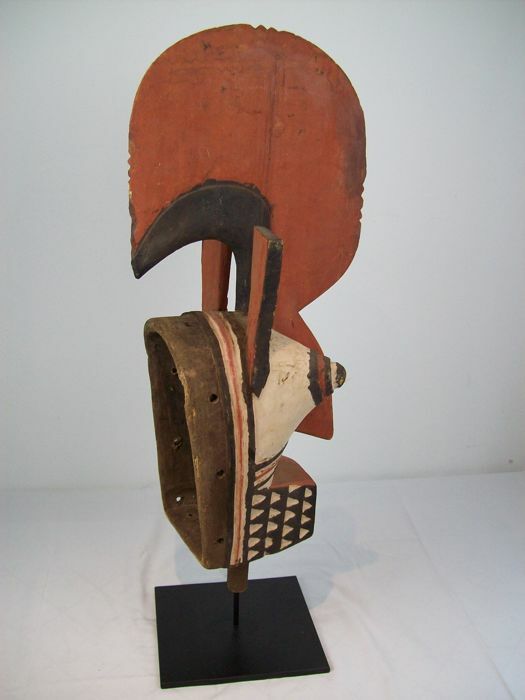 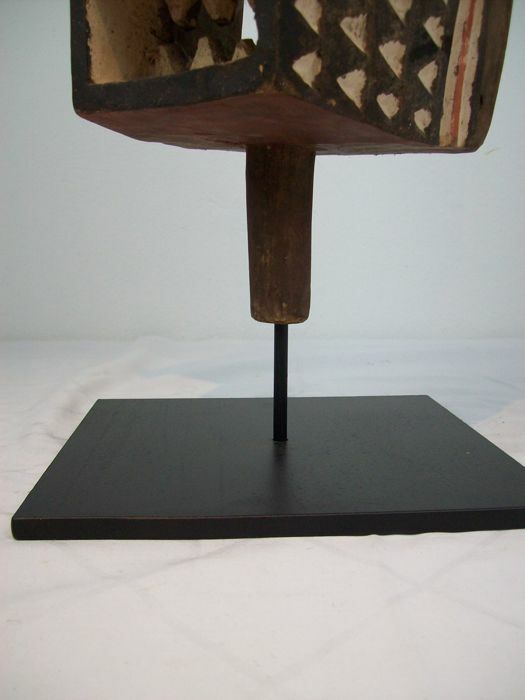 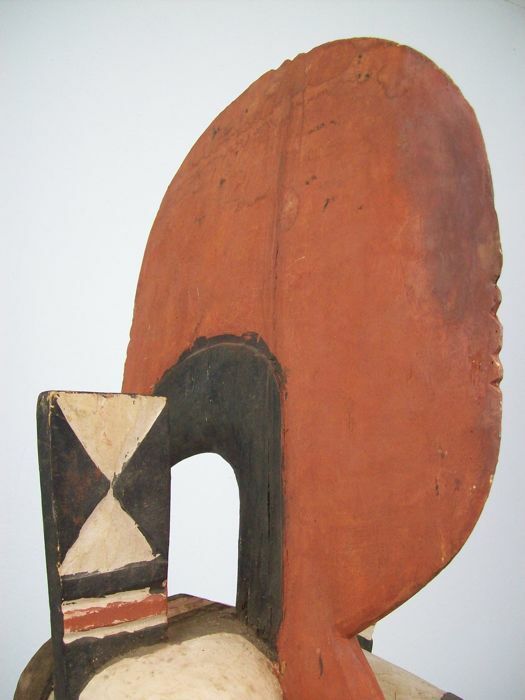 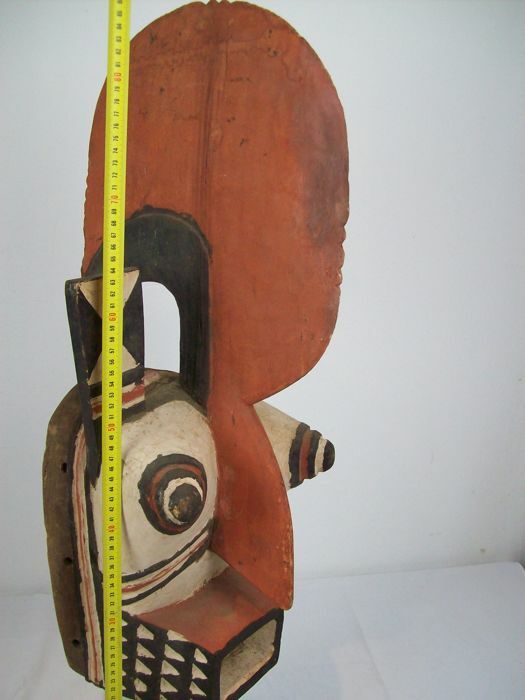 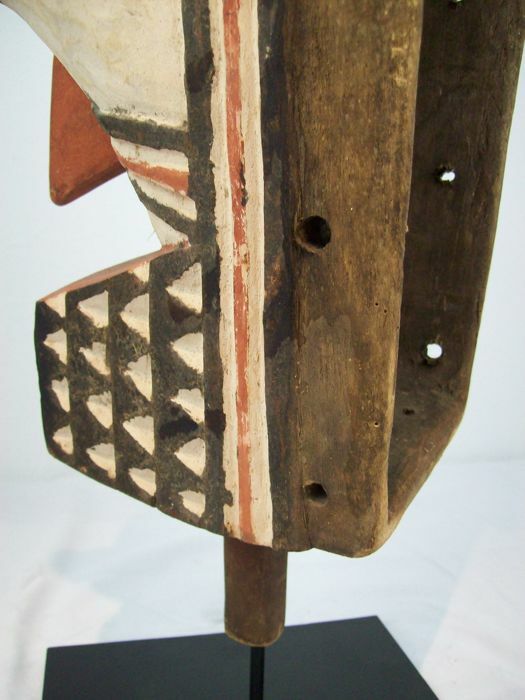 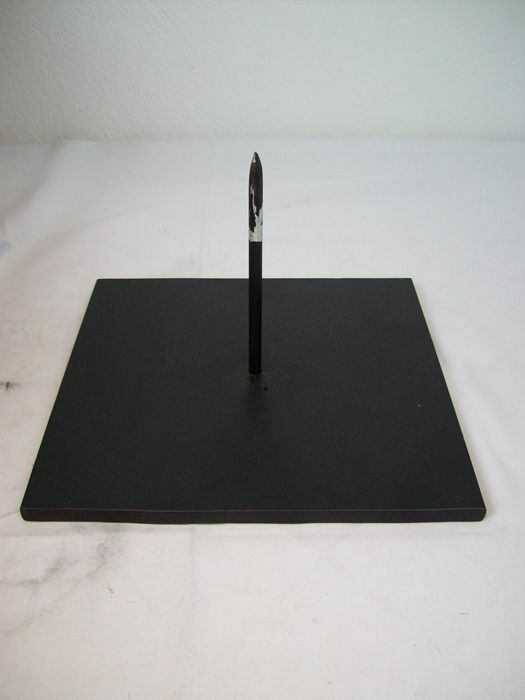 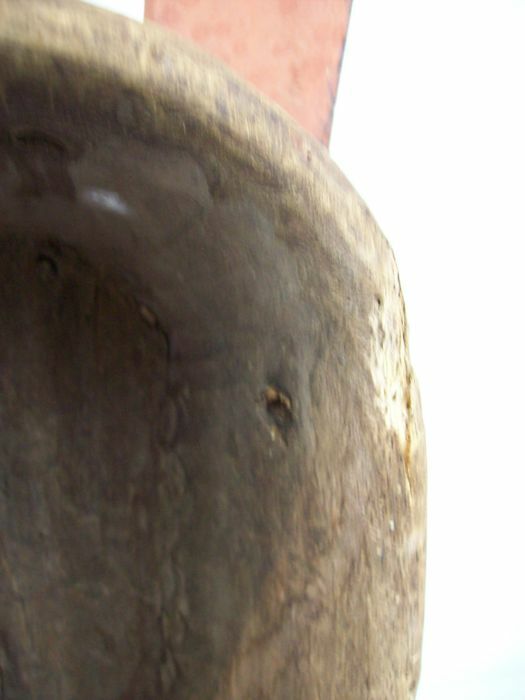 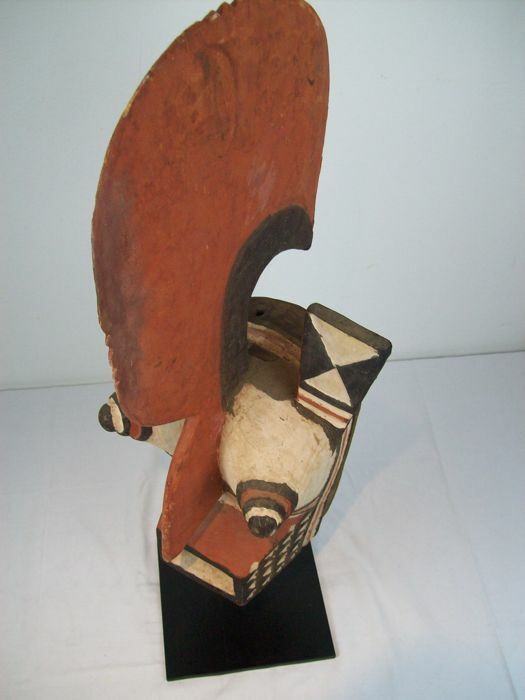 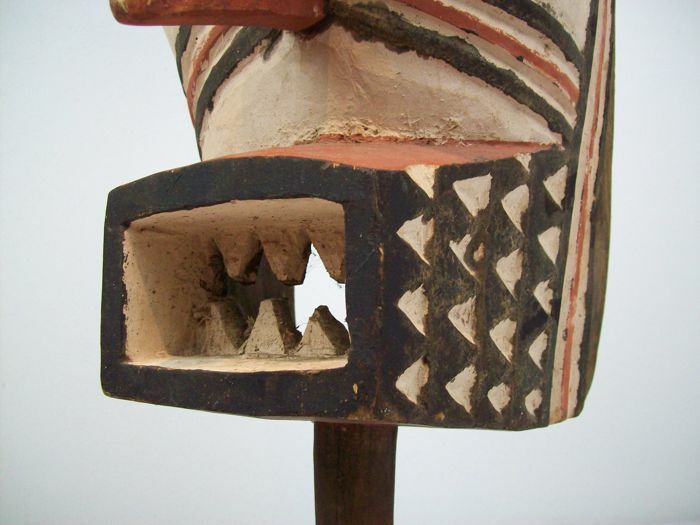 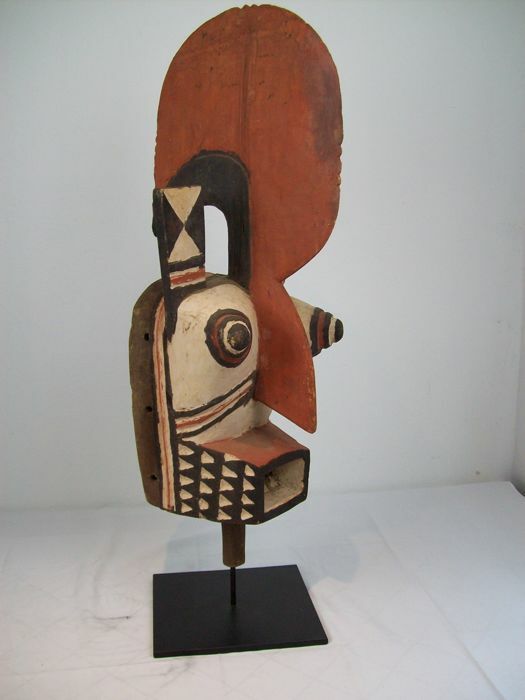 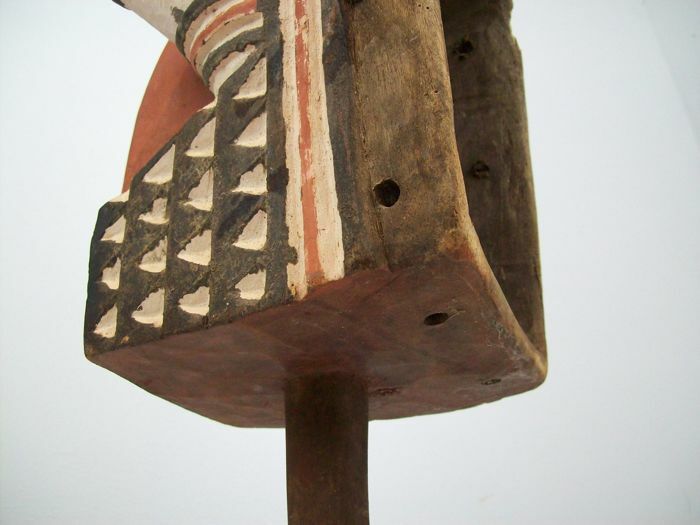 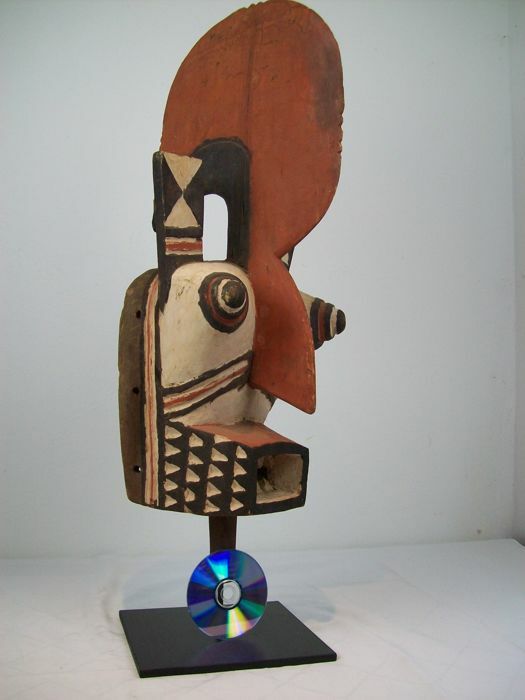 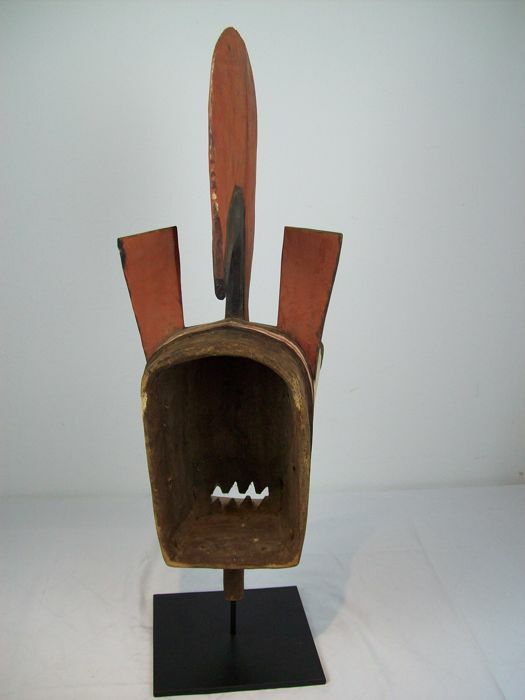 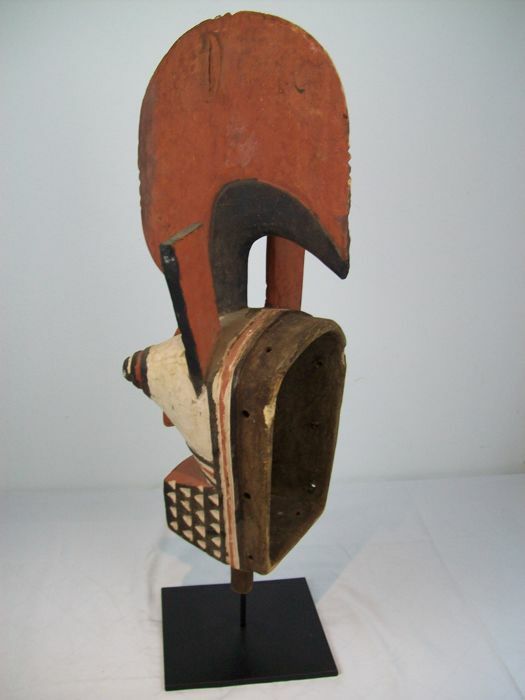 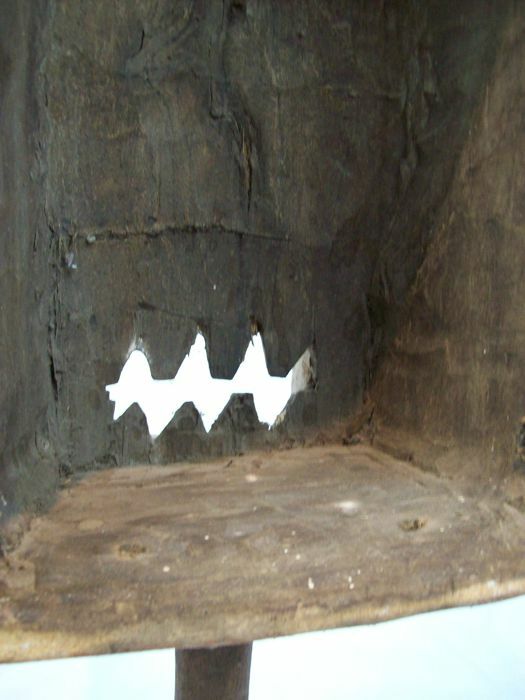 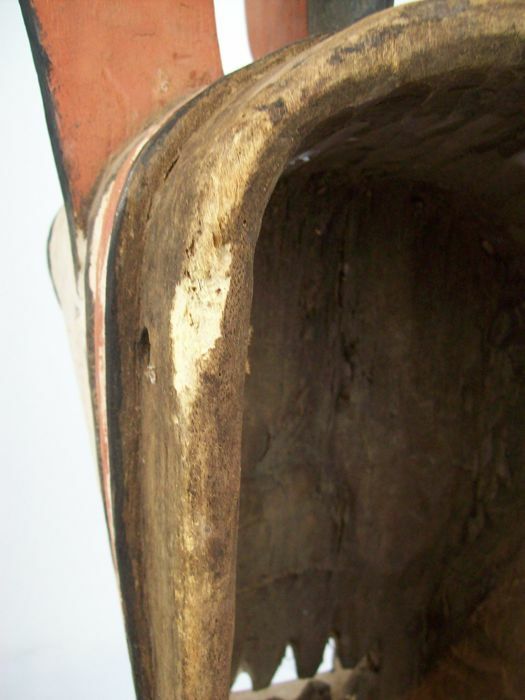 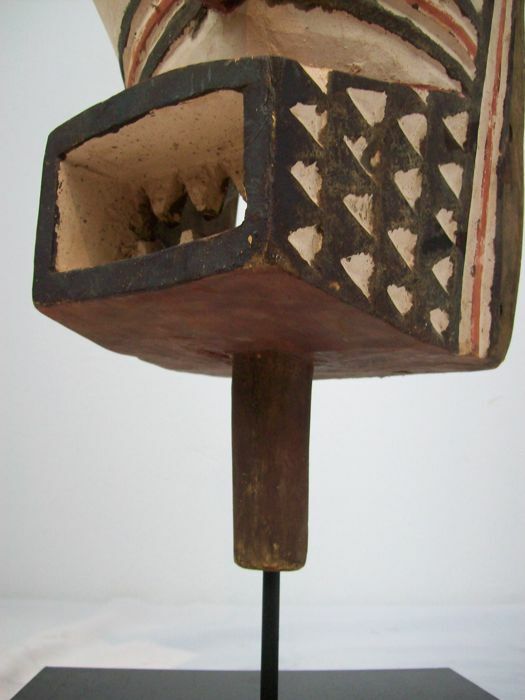 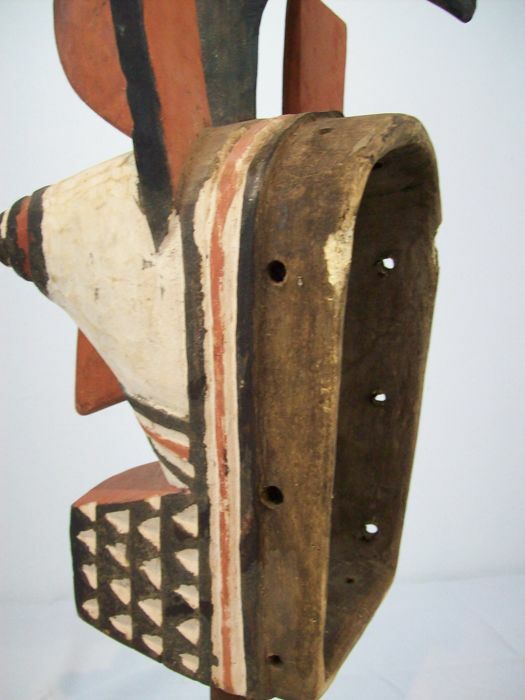 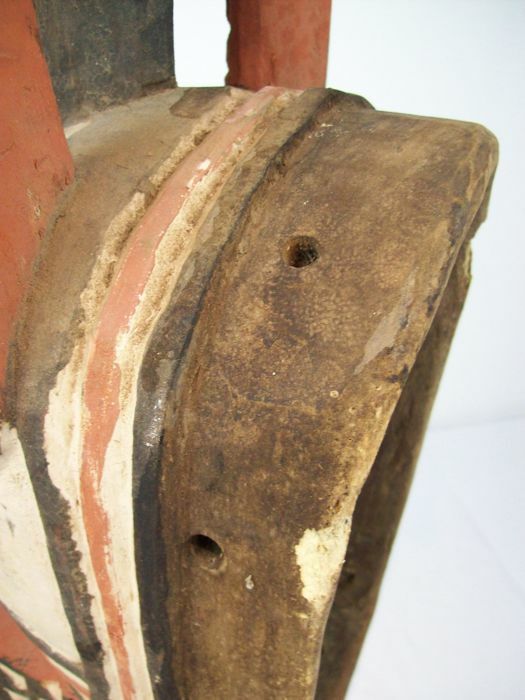 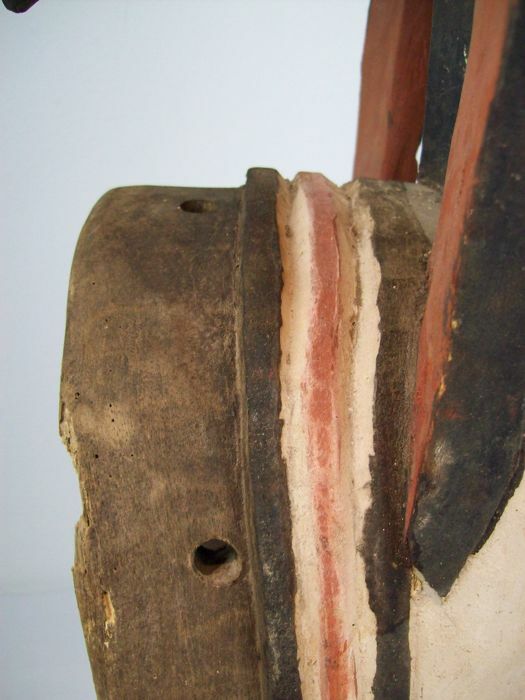 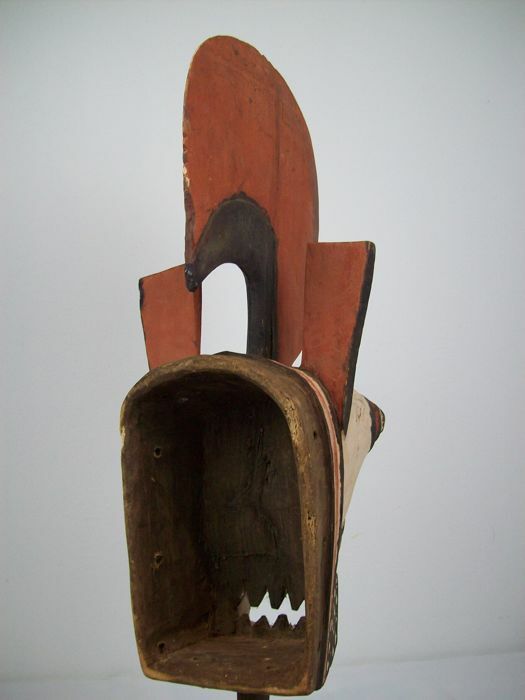 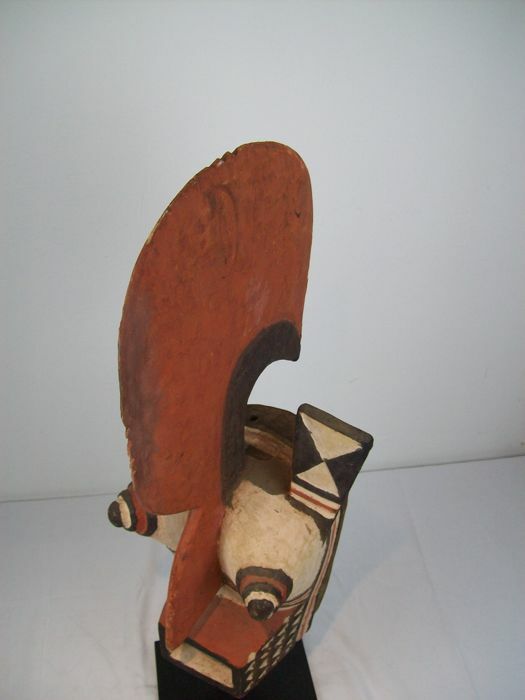 the large mask can be turned on the solid iron stand. 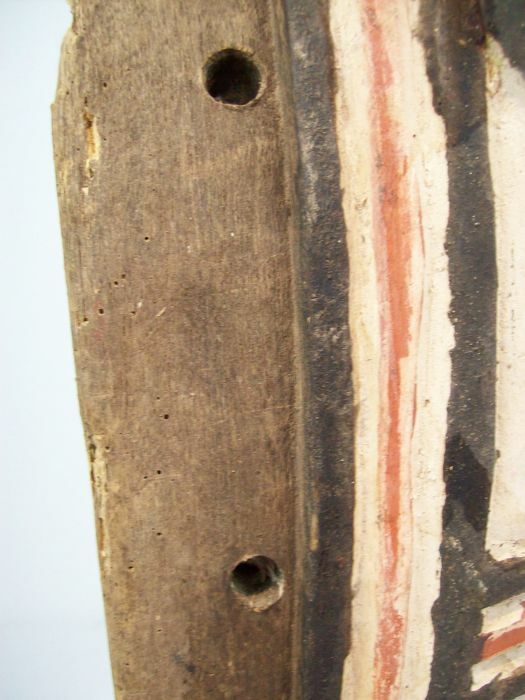 minor damage, no cracks, some of the colour has rubbed off. 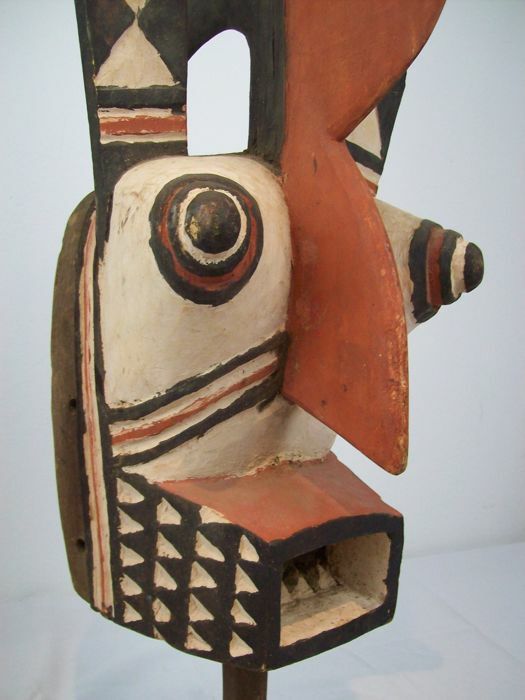 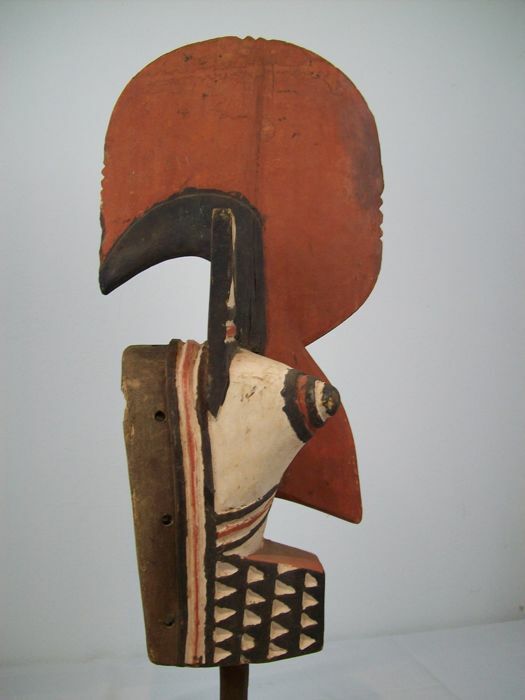 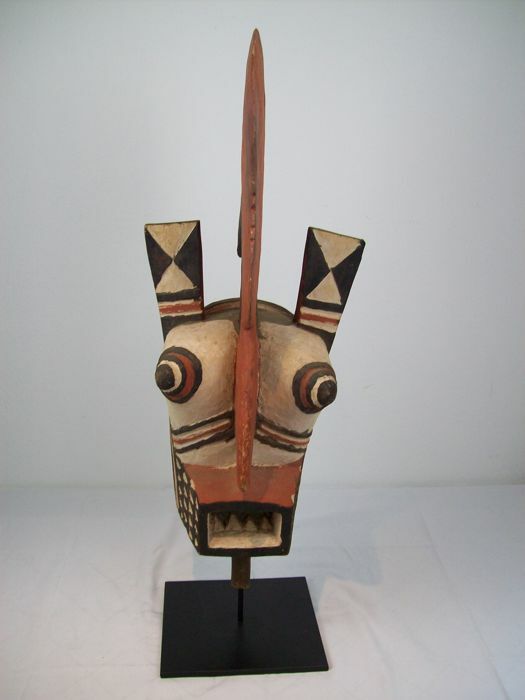 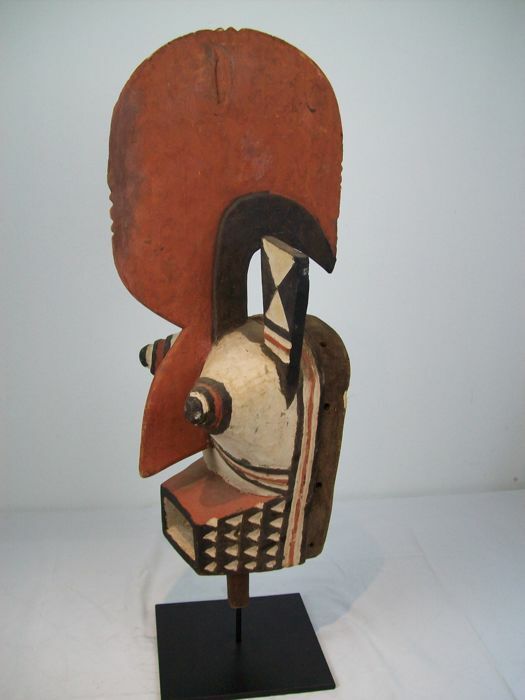 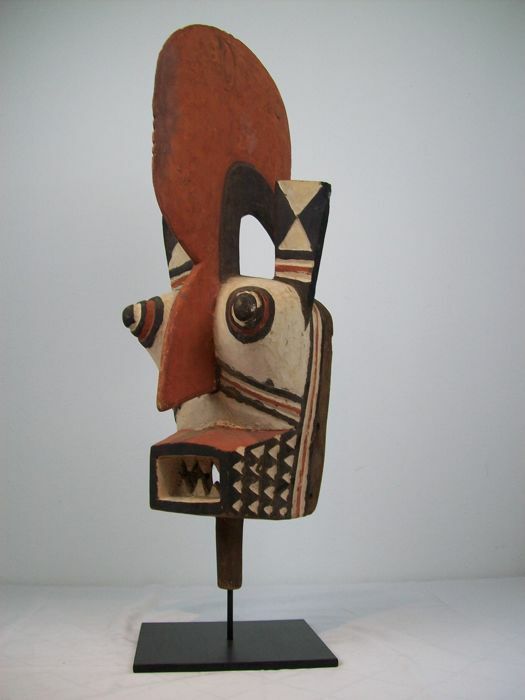 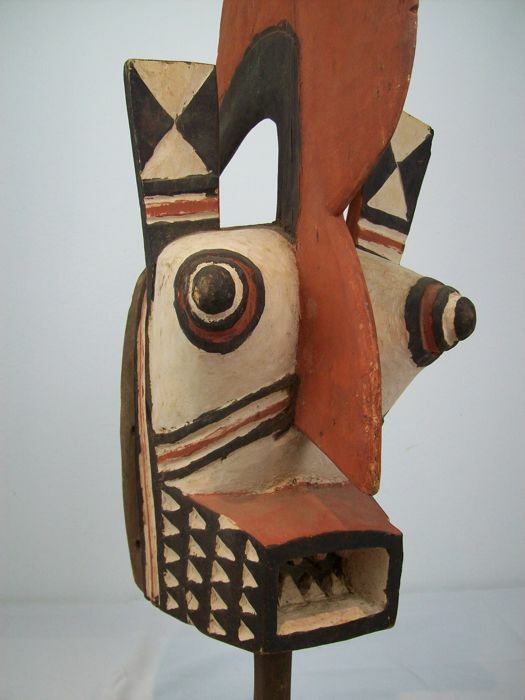 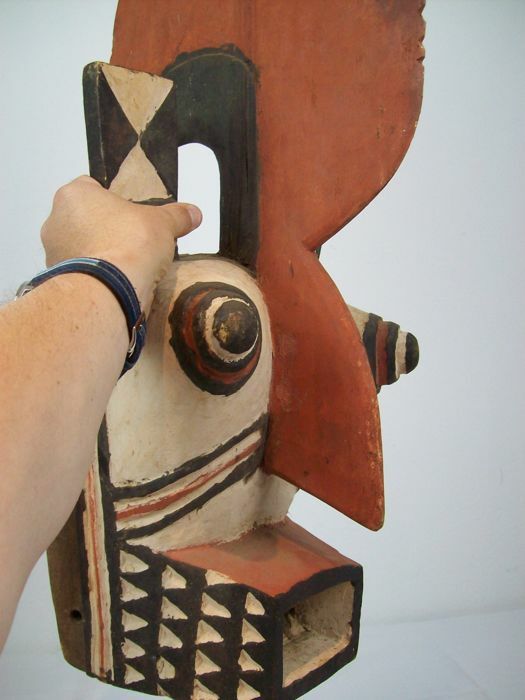 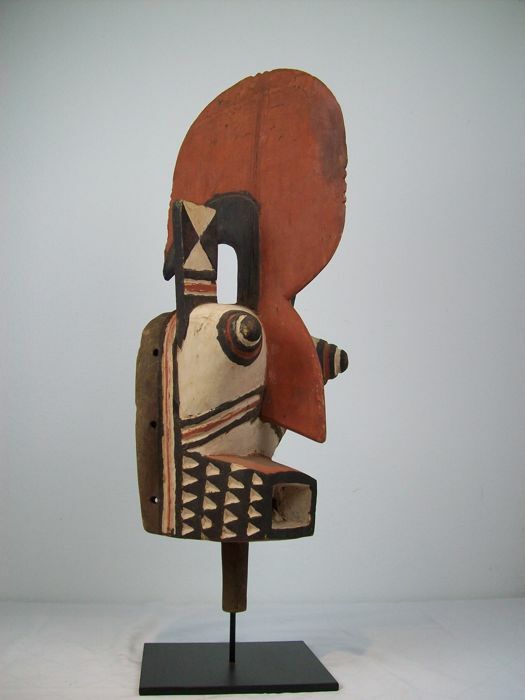 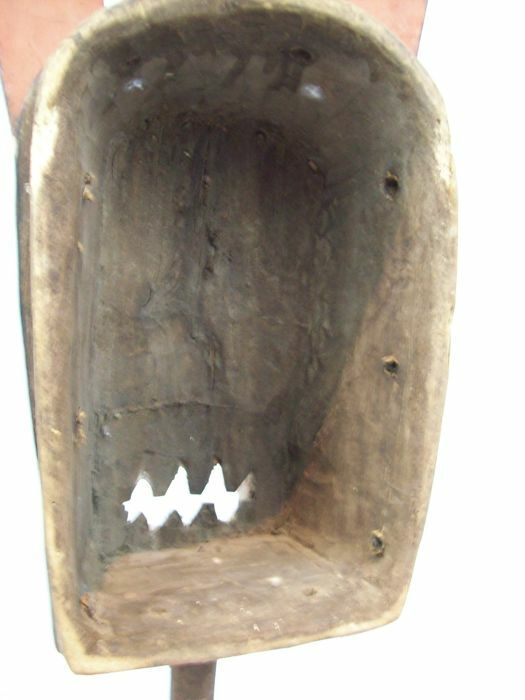 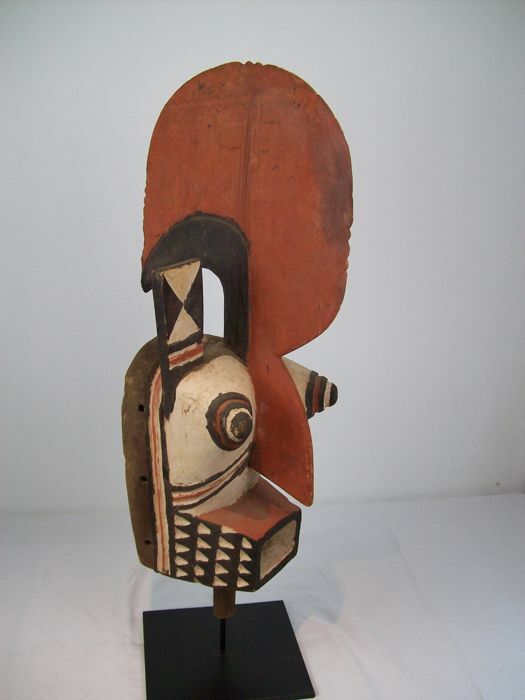 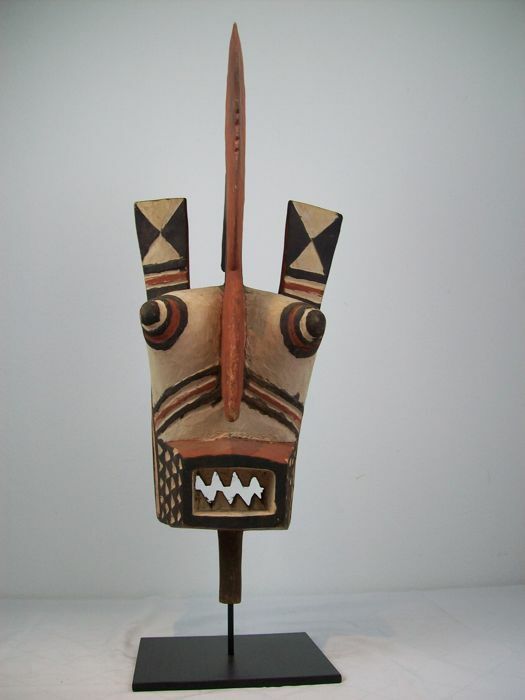 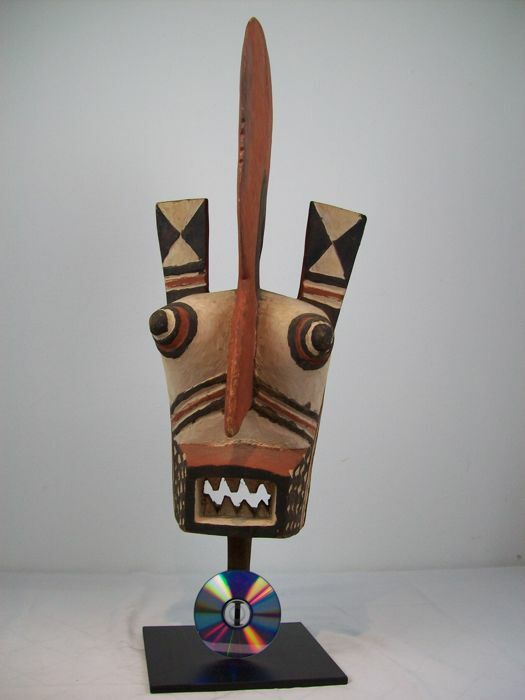 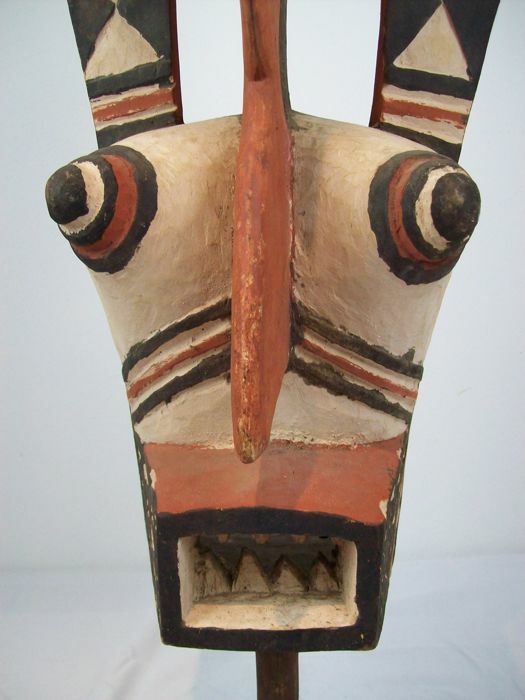 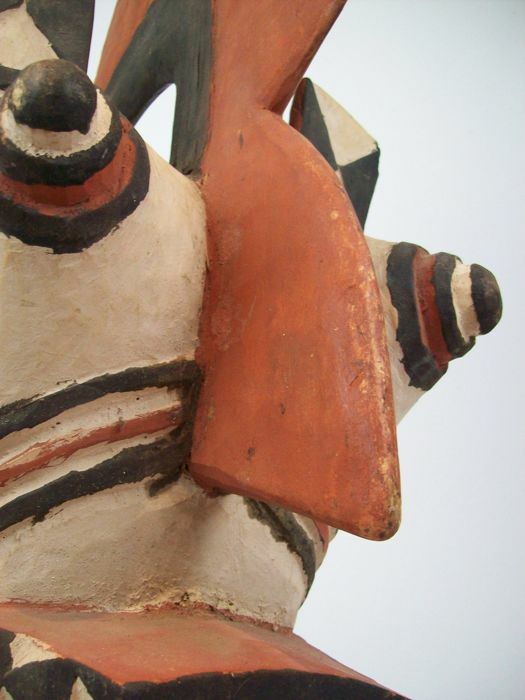 Masks of this type represent the spirit of Hombo who once helped the smiths and is therefore considered to be their guardian spirit. 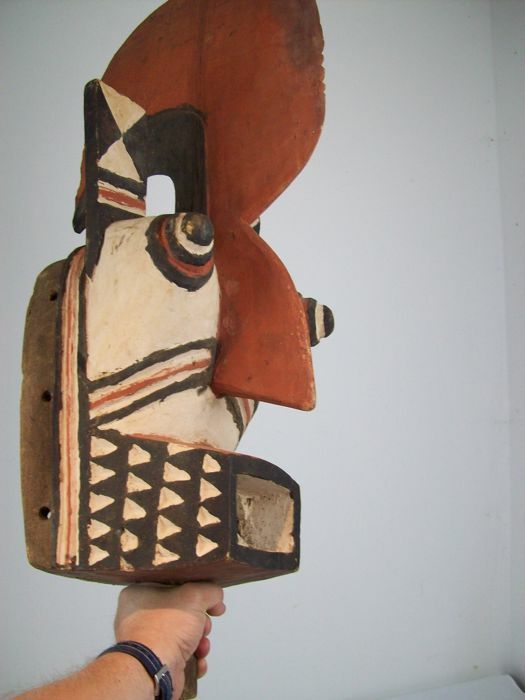 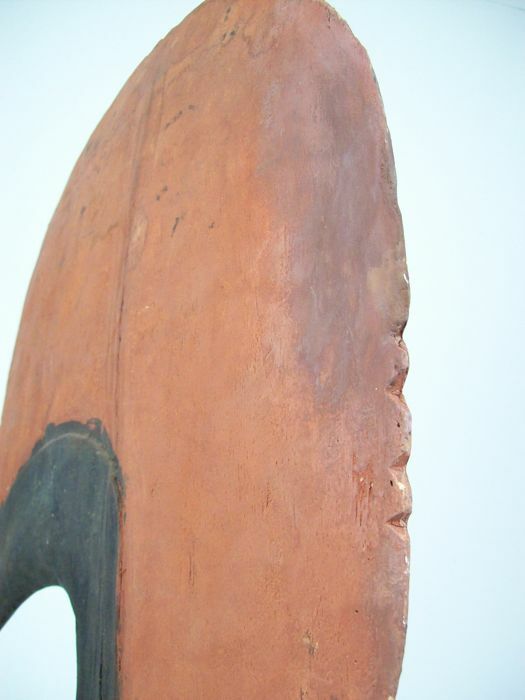 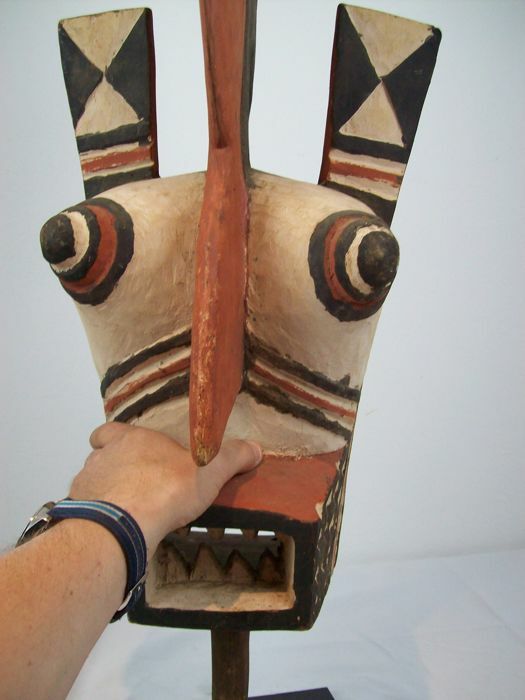 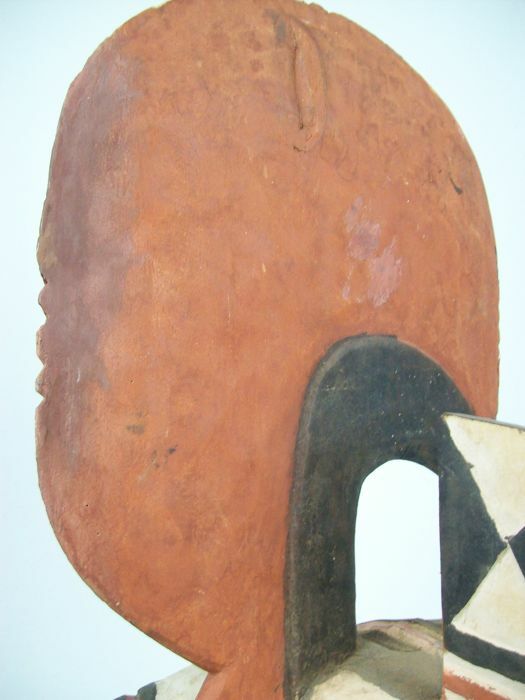 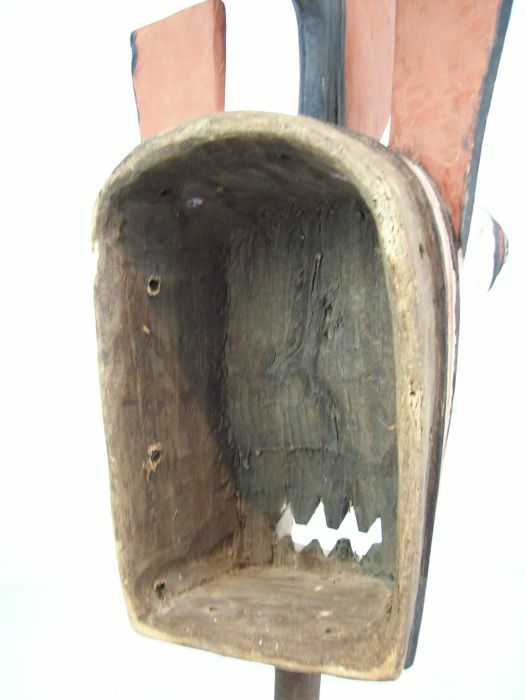 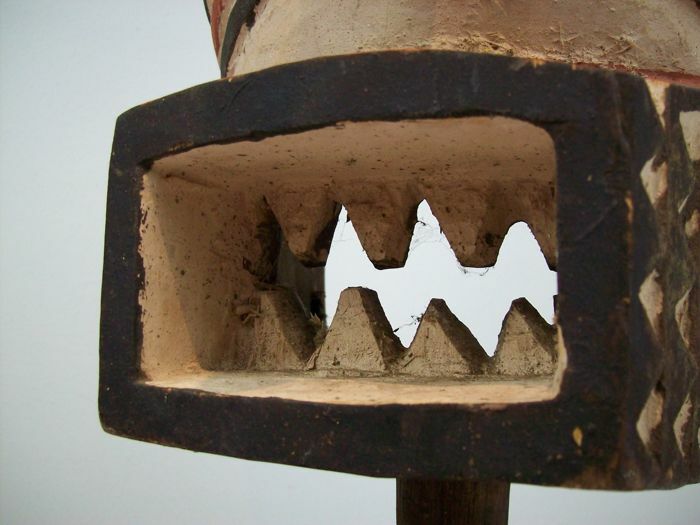 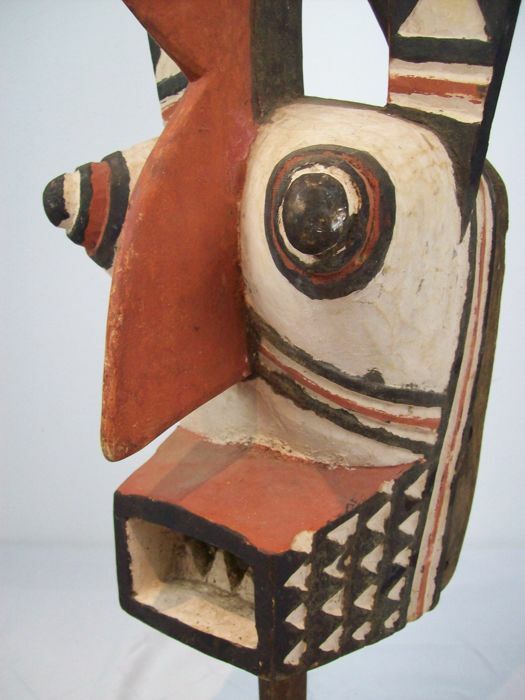 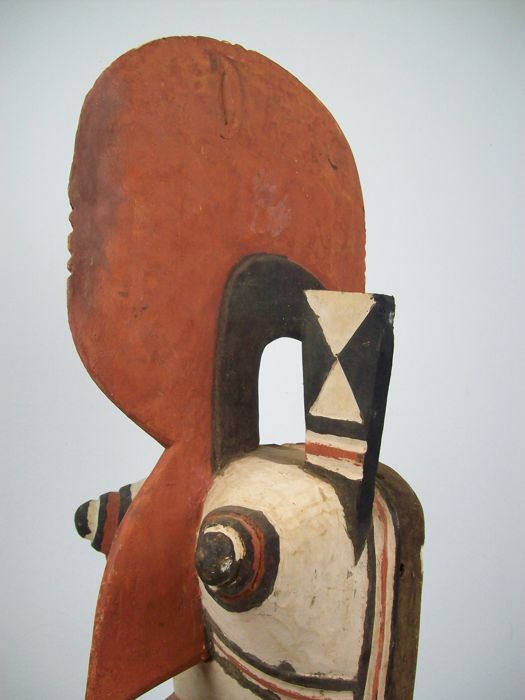 Most ‘hombo’ masks depict creatures of the wild in an animal or fantastical form, invisible to people. 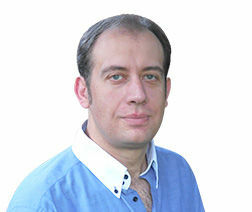 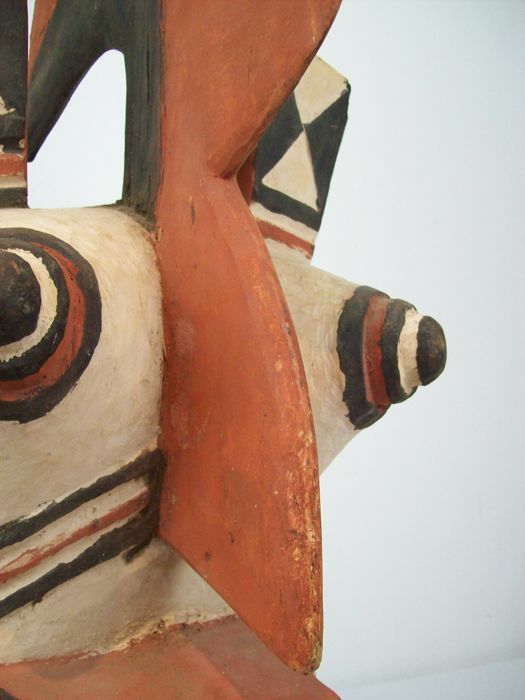 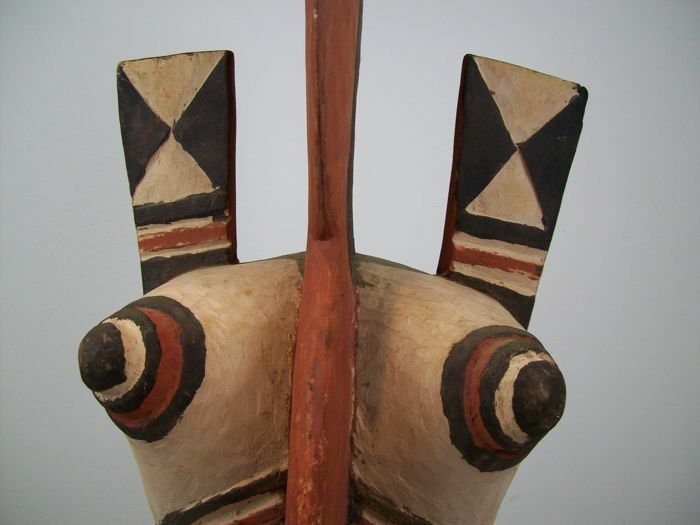 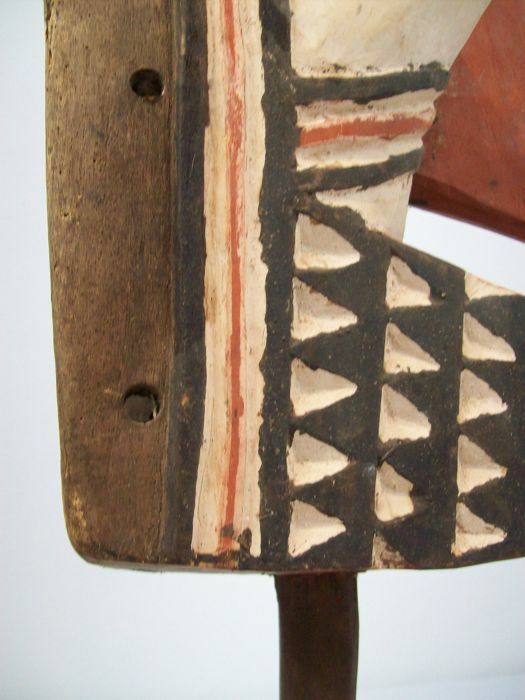 Knowledge of the nature of the masks and the meaning behind the geometric pattern is reserved for the male population. 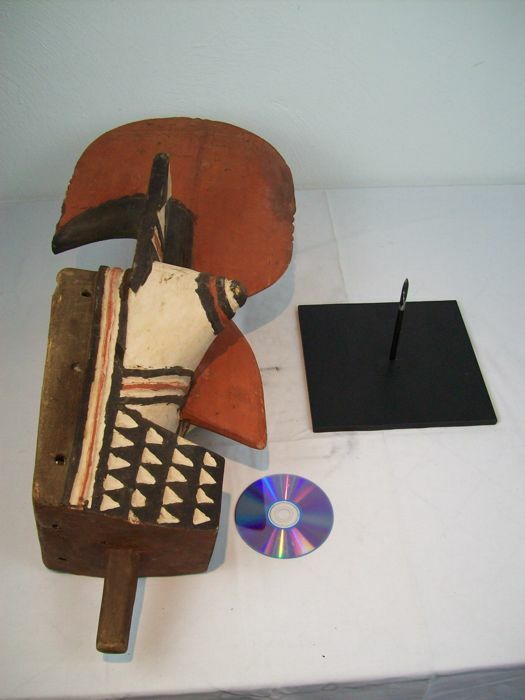 All boys are inducted in this secret knowledge during a two-week initiation period, which also serves as a means of imparting social and moral values. 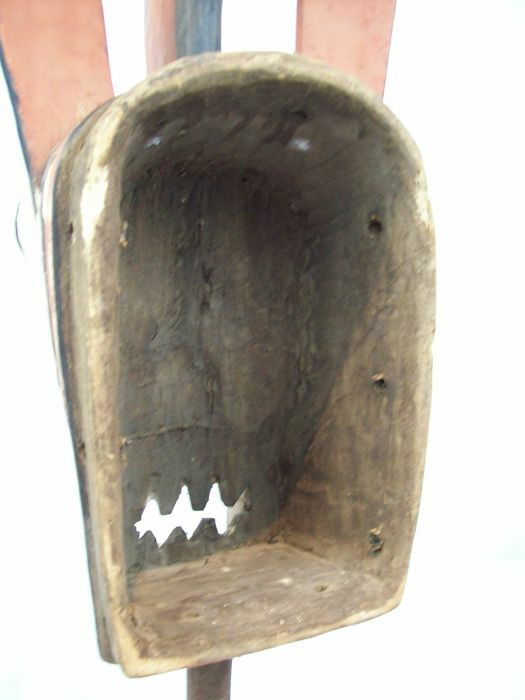 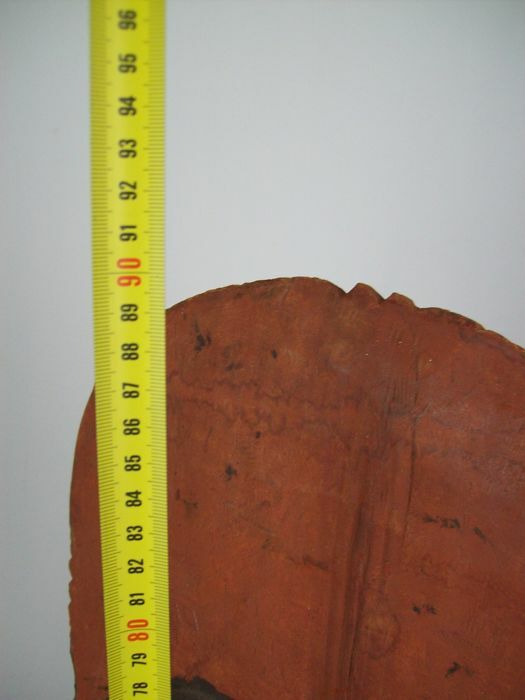 Dimensions: h: 90 cm, w: 28 cm, d: 33 cm.